On Monday, June 26, the California State Senate honored Anuj by adjourning in his memory. This was done at the request of State Senator Joe Simitian (D-Palo Alto), the prominent legislator who represents Silicon Valley. Scroll to page 42 to see the specific text of the adjournment request. 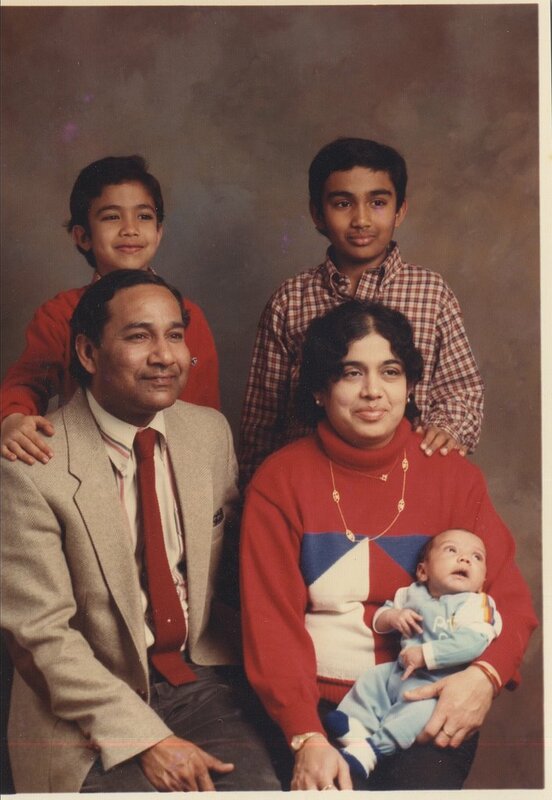 The Mohan Family: Fall 1984 in Ann Arbor, Michigan and Spring 2006 in Los Angeles. Anuj will always be with us. Would You Like to Share a Thought? Thank you to those who have been sending emails with kind thoughts and memories. If you haven’t already, we invite you to post your thoughts about Anuj directly to the blog as comments under any entry or with an email to memories.anujmohan@gmail.com. Anuj had an incredible zest for life. I will never forget his contagious smile and laugh. Anuj was not only able to get along with anybody he met, he made each person who met him feel valued and important. He was one of the most selfless people I have known. He always made time to help me and others even if he was extremely busy. He also had an amazing tolerance for other people’s teasing and tickling. I remember one time when someone tickled him so that he curled up in a ball on the main stairway of the house and kept on laughing. Anuj took it all so well and was very forgiving of others. I don’t think there was an ounce of arrogance in Anuj; he never was condescending to anyone and although he was very intelligent and talented, he didn’t brag about it. Anuj was also a man of his word. If Anuj committed to do something, he would do it, and do it well. Whatever it was you were doing, having Anuj along always made it a better experience. He just seemed to bring out the best in the people around him. It seems like almost all my memories from college involve Anuj somehow. He and Prakash were the firstof my pledge class brothers to befriend me. I remember one night when he, Calvin, and I stayed up late just talking about life, everything, and nothing and before we knew it, the sun was rising. Lots of mymemories of Anuj are from playing sports together. We played just about every intramural sport together (other than hockey) for ADP and he was awesome at them all. Anuj was very competitive when playing sports, but always gracious in victory and defeat. He, Calvin, and I played lots of pickup basketball in our college years. Separately, the three of us were average basketball players, but somehow when all three of us were on the same team, it seemed like we could beat anyone. We also had some great road trips together, to Atlantic City (twice), to the U.S. Open (twice), to the ’96 Olympics in Atlanta, along the Pacific Coast Highway in California. When things went wrong, like when we got lost in NYC on our way to New Jersey, or when we accidentally ran over a dog in Georgia, Anuj was always a voice of reason and remained upbeat and hopeful. Anuj was the person who introduced me to the music of Rush, and we went to a couple of their concerts. I remember that he read the lyrics to one of their songs as a literary presentation at our house meeting. We also went to a number of Red Sox and Patriots games together. He became an avid Patriots and Red Sox fan, and wouldn’t you know it, not long afterwards both teams won championships. Anuj was also the one who renewed my interest in bicycling. We biked to Hopkington and biked all the way out to Cape Cod a couple of times in a big group with BobbyMac. On the first trip to Cape Cod, after I was hit by a car, I remember that Anuj encouraged me and his sense of humor helped me forget about my scrapes. He was a friend I knew I could always count on, and he was an incredible blessing to me. Good bye and thank you, Anuj. You have made me a better person, and this world a better place. You and your family will be in my prayers, and you will always be a part of who I am." The Almanac, a newspaper serving the Silicon Valley towns of Menlo Park, Atherton, Woodside and Portola Valley, published an obituary about Anuj today. The print version includes a photograph as well. The story honors his life as well as making mention of the scholarship fund established in his memory. When the file opens in your browser, scroll down to page 21 of 24. Here you can see the full article as well as a photograph of Anuj. The Almanac rarely publishes photographs in its obituary section but the editors were deeply moved by Anuj's story and decided that it deserved a picture as well as words. Anuj in Philadelphia. Fall 2005. 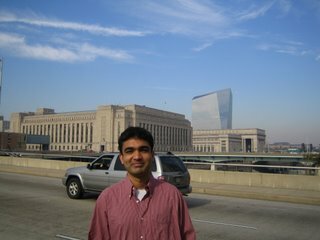 "I had the good fortune of getting to know Anuj well over the last year at Wharton. Not only did we study together but we also hung out together many times and Anuj was great company. He was one of the nicest and most genuine guys I have met. He was an extremely hard working guy and would always go the extra distance to improve the quality of our work on group assignments while never making a big fuss about it. It never came as a surprise to me that he made the Director’s List at Wharton given his academic commitment and intellectual strength. We used to joke initially in our learning team that we have a geek from MIT and that joke died pretty soon after we started our semester last fall when we found out Anuj’s many talents and interests. He was highly active in Wharton’s Technology and Entrepreneurship Clubs going on to become the co-president of the Entrepreneurship Club and working as a Panel Manager for the Technology Conference. His interest in volunteering and social causes was evident throughout the year. On our leadership class team project he was an extremely productive and fun member while contributing extensively to the Rebuilding Together and Into the Streets volunteer projects. Anuj was clearly committed and passionate about the academic institutions he attended. He served as the officer for MIT’s Alumni Club for Northern California and at Wharton he was selected to lead the Advisory Board for the school’s well known speaker series, Wharton Leadership Lectures, that brings to campus many of the world’s most influential leaders and policy makers. In addition he led the initiative to bring guest speakers to our core curriculum leadership class by volunteering his services for an entire cluster of about 250 students. And the list goes on and on…That is my dear humble friend Anuj." "My dear cousin Anuj was a very special person. He was loving, caring, genuine, and very giving. I remember the times in Ann Arbor when we would all play in the backyard, which back then seemed like the size of a football field to us, and Anuj would run around teasing all of us. He was the little one with curly hair and pudgy cheeks - one could never miss his wonderful, comforting smile. Those very same qualities were apparent even when he was a toddler. A few weeks ago at a very special lunch we all had together, it was my turn to tease him and still he blushed as he did when he was a child. Anuj is exceptional in so many ways and has a special aura about him that few can ever match. Anuj, my dear cousin, you live in our hearts and minds every moment of the day. Our spirit, faith, and prayers are with you." "Anuj was one of the warmest, most genuine person I have known. He was also one of the most brilliant kids in our high school class and had the rare quality of making friends with almost everyone. We dropped out of touch after graduating from St. Francis' in 1994 and reconnected just a few years ago and he was the same as before- radiant and warm." 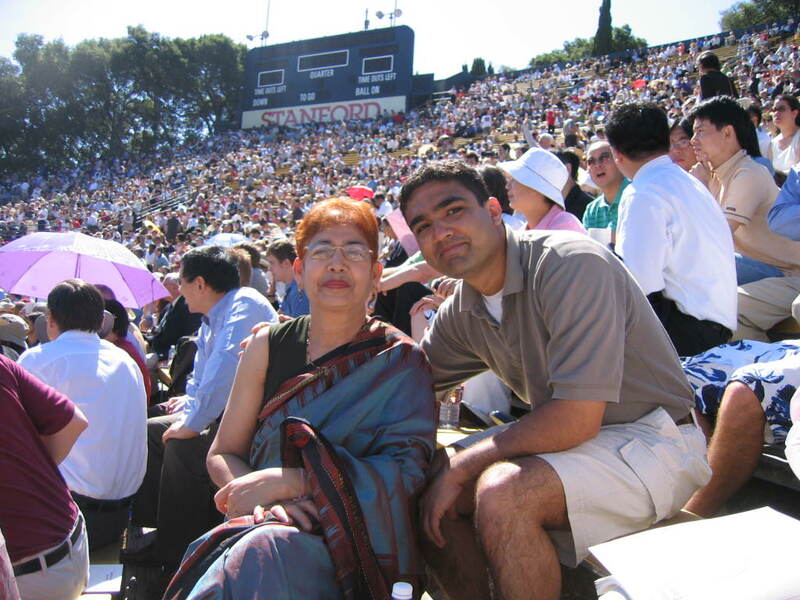 Anuj with Mom at Neal's graduation from business school. Anuj with Dad at MIT. A few years after he graduated, he took Mom and Dad to Cambridge. Here Anuj is showing Dad his Master's thesis which is housed in the main library. The San Mateo Daily Journal published a story about Anuj today. It focuses on the type of life he led as well as the legacy we hope to build in the future in honor of him. As you all know, Anuj never really liked to be the center of attention. He was of a rare breed – a leader who led not by ostentation and speeches but rather through quietly making those around him better. So it is the cruelest twist of fate that we are gathered here today with all the attention focused on him. In his characteristic selfless generosity, even while parting from this world, Anuj gave us a gift. By fighting valiantly for four weeks, he allowed us to collect and share countless stories about how he led his life and the everlasting impact he had on those he crossed paths with. One universal theme emerged: despite the fact that he touched hundreds of people around the world, every relationship he built was truly unique. In fact one of my favorite stories stems from my wife’s observation that she had never met anyone who was invited to be part of more wedding parties than Anuj. He was invited to 3 or 4 a summer. He thought about this for a second and said, “isn’t everybody?” Typical Anuj. What the rest of the world deemed to be deep, special relationships were simply the way Anuj expected and made sure all of his friendships were. Above all, Anuj was a man of utter humility. For someone who accomplished an incredible amount in his short time with us, I think we all agree that there was not an ounce of arrogance in him. From early childhood through the very end, he was so self-assured and confident in his talents and natural abilities that he never felt the need to boast or brag about anything. For example, many of his recently acquired friends at Wharton did not know that he played a leadership role in the National Kidney Foundation, orchestrating events that raised over $50,000 annually. I’m sure most of his friends and colleagues at MIT didn’t know that in high school Anuj was elected or appointed to more leadership positions than any student before or since. Despite its location in Silicon Valley, colleagues at Kana may not have known that outside the office, Anuj was the founder of the well-regarded Software Entrepreneurship Lecture Series for the MIT alumni club of Northern California. While that work resulted in people recognizing him throughout Silicon Valley – I would often have acquaintances approach me to ask, “are you Anuj’s brother?” - many did not know that as a student at MIT he was an often-cited researcher with papers published in peer-reviewed scientific journals. And we in his family had no idea that some of his Wharton professors called him one of the brightest lights they had seen in many years given his simultaneous academic accomplishments – he made the Director’s List – and extra-curricular leadership – leading the Entrepreneurship club, organizing several guest lectures, managing panels for the annual Technology Conference, etc. It was the little stuff that made us truly appreciate him though. I am reminded of a story that took place a few months ago. Anuj gave a friend at Wharton his commitment to help out during a “Rebuilding Together” event that his friend was running. A few days before the effort, he threw out his back. On the day of the event, Philadelphia was cold, dreary and in a pouring rain. Yet, exactly on time, his friend opened the door to a smiling Anuj, completely drenched, tweaked back and ready to help. He was one of the few that showed up and last to leave, staying for hours until the task was done. He had made a commitment, his friend needed help, so Anuj was there. 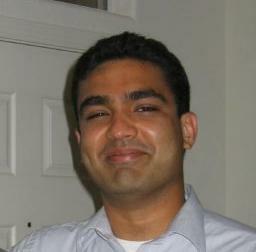 Anuj’s kind heart and self-deprecating humor did not mean that he wasn’t incredibly driven and thrived on competition. His fraternity brothers have talked about his prowess on the football field and the championship basketball game where he went on a 12 point scoring spree in over time to secure the win for his class. Whether it was learning a new language in a couple of months, willing his way on to the MIT varsity baseball team, participating in a 200-mile bike relay to the ocean, or learning how to cook, Anuj applied himself fully to the task at hand until he became the best at it. I will always remember the incredible Thanksgiving feast he cooked up just a day or two before he left for Bangalore on a business trip a couple years ago. This summer he was looking forward to applying the same ambition to swimming. The sole solace we have is he left us doing something he loved and being exactly who he was. And to me. Well to me, Anuj will forever remain my baby brother. I will remember the summer evenings spent doing wheelies on our driveway in Michigan, the rickshaw ride the two of us took everyday to school in India, the matching sweaters our mom made us wear as children, and how he made little families with everything he collected – pencils, erasers, balls, shoes, anything. Always a family man. As his friends have repeatedly said, what a great father and role model for their own children he would have been. Years later, at my wedding, he would give one of the most thoughtful and touching best man toasts that I have ever heard. Oh, how I desperately wish I could have been reciprocating that gesture instead of standing here speaking today. In Anuj’s untimely passing, we have all been robbed of a future with this wonderful soul. But we will always have cherished memories from the past. And we can always remember him as an incredibly handsome young man, with ever present dimples and a radiantly warm smile. He left behind a world that is truly a better place because of his short time upon it. Anuj, you are the finest human being I have ever known. You will live on in each of us everyday because of the indelible positive impact you had on all that you crossed paths with. In the end though this isn’t about achievement, impact, legacy, or zest for life. It is simply about love. He was your friend, my parents’ son, and my brother – and I just loved him very much. Anuj, I miss you tugging on my ear. "You must be the change you wish to see in the world. " What is the Anuj Mohan Scholarship Fund? It is a fund designed to provide scholarship assistance to exceptional students from families of limited financial means to attend The Massachusetts Institute of Technology, from which Anuj graduated with BS and MEng degrees, or The Wharton School at the University of Pennsylvania, where Anuj completed his first year on the path to an MBA degree before his accident. What is the mission of the fund? Anuj was deeply committed to education and passionate about creating equal opportunities so that everyone could reach their full potential. He was convinced that the path to sustainable progress in society was through providing educational opportunities to students who truly deserved them, and encouraging those students to contribute to their communities afterwards. That is the mission of this scholarship fund. We hope to educate the next generation of engineers, scientists, entrepreneurs, and innovators so that they can better the world we live in. How will this scholarship be different from others? 1) Unlike many other funds we will work very closely with MIT and Wharton to ensure that we are in synch with their overall merit scholarship and financial aid programs. 2) As described above, the goal of the scholarship will be not only to provide academic opportunities for deserving underprivileged students but also ensure that they are focused on contributing to their communities in a meaningful way. 3) Therefore eligibility criteria will include not only applicants' academic excellence and financial need, but also their demonstrated commitment to their local community. 4) The original focus of the fund will be on students in the San Francisco Bay Area given Anuj's connection to that community but we hope to grow our scope over the years. Please write a check payable to Silicon Valley Community Foundation. Write "Anuj Mohan Scholarship Fund" in the memo line. If you have any questions about this process, please contact donate@siliconvalleycf.org. Yes. A receipt will be mailed to each donor who contributes to the fund. Yes. If you would like to pledge a certain amount every year, we will work with you to establish a schedule that suits you. The Anuj Mohan Scholarship Fund is a donor-advised fund at Silicon Valley Community Foundation. Anyone can give to this fund. It will endow permanent scholarships at MIT and Wharton. Using criteria we provide, these schools will select exceptional students as scholarship recipients from The Anuj Mohan Scholarship Fund. After endowing the first set of scholarships, we hope to grow the number and size of grants at both schools by working with our generous supporters and development partners at MIT, Wharton and Silicon Valley Community Foundation. When will you award the first scholarship? Our goal is to start awarding scholarships to students admitted to MIT and Wharton in fall of 2007. Silicon Valley Community Foundation at donate@siliconvalleycf.org. In his short time with us, Anuj had an incredible impact on Silicon Valley and the high-tech industry through his contributions as an accomplished researcher at MIT, senior architect and director at Kana, and student leader at The Wharton School. 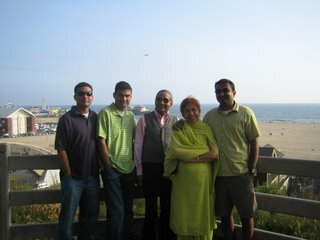 It is our goal to continue his work and honor his memory by establishing the Anuj Mohan Scholarship Fund. The goal is to put in place endowed scholarships at both MIT and Wharton to enable exceptional students from families of limited means to attend these great universities. Our hope is to educate the world's future entrepreneurs, scientists, mathematicians and CEOs. This was a cause that was dear to Anuj's heart. He believed passionately that the creative application of technology could continually improve the lives of people around the world. Educating bright young people to do just that seems to be the best way to carry on that legacy. 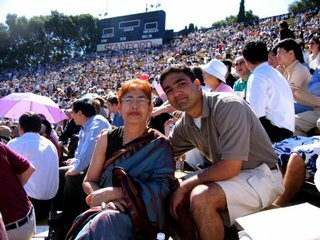 To contribute: Please write a check payable to "Silicon Valley Community Foundation" with "Anuj Mohan Scholarship Fund" in the memo line. Anuj Mohan, beloved son of Dr. Deepa Mohan and Dr. Aditya Mohan, brother of Neal and Kapil, and brother-in-law of Hema, was born in Florida on Ram Navami, April 9, 1976. He spent the first few years of his life in Florida and Michigan doing wheelies in the driveway with his yellow dirt bike, playing GI Joe with his brothers and friends, and charming his teachers with his unassuming brilliance and ever present dimples. When the Mohans moved to India in 1985, Anuj faced the challenge of immersing himself in a new culture and learning to speak, read and write Hindi from scratch in a couple of months. Anuj took that in stride and, with the discipline and determination he would consistently display throughout his life, went on to blossom into a star pupil, champion debater, gifted athlete, and, most importantly, cherished friend during his years at St. Francis School in Lucknow, India. 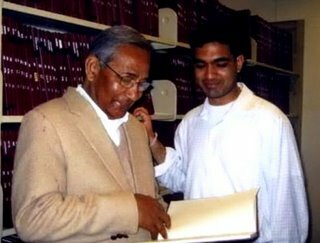 In 1994, Anuj returned to the US to attend MIT. He pledged the Alpha Delta Phi fraternity, where he met life-long friends, and played on MIT’s varsity baseball team. While earning B.S. and M.Eng. degrees in electrical engineering and computer science, he published two papers on machine learning and artificial intelligence in peer-reviewed scientific journals. But, “Nuji,” as he was known by those who love him, is perhaps best remembered for all the little things he always selflessly found time to do for others. Upon graduating, Anuj headed to Silicon Valley to join KANA Communications where he rode the dotcom roller coaster for six years, quickly becoming a mentor to employees in offices around the world. Outside of work, he founded and directed the Software Entrepreneurship Lecture Series of the 8,000-member MIT Alumni Club of Northern California. In between he made time for his favorite activities like catching a baseball game, making wonderful meals with Flo, riding his bike around the Bay Area, and, of course, reading a good book. In 2005, Anuj decided to pursue an MBA at The Wharton School at UPenn. In May, he completed his first year. Anuj earned a spot on the Director’s List but this did not come at the expense of cultivating relationships with fellow students and faculty, becoming Co-President of the Entrepreneurship Club, and regularly competing on the soccer field. But you would never hear of these accomplishments from him. Although those around him saw immediately that he was immensely talented, at his core, Anuj was extremely humble. By all accounts, he was a person of uncompromising integrity and sincerity. A true leader, Anuj had the incredible gift of enabling people to achieve their full potential. He asked “what do you think?” because he sincerely believed that everyone had something important to contribute. Anuj was kind, thoughtful, and always generous of his time, wisdom, and spirit. When his father was diagnosed with kidney failure, Anuj broke down bureaucratic barriers in the US government and the medical establishment to allow his parents to immigrate back to the US, quickly securing the care his father needed, eventually leading to a transplant. Unquestionably, Anuj was who you wanted by your side when things got tough. A man of his word, he would be there to help you navigate your way out of any situation. His unwavering faith and spirituality kept him grounded and ever positive. He leaves behind a family that loved him beyond description, a community of dear friends, and a world that is truly better because he inhabited it. Anuj, you are the finest human being we have ever known. But mostly we just miss your warm smile and ready laugh. It is with profound sadness that we write that our beloved Anuj passed away on June 11 after a valiant fight. While we are shattered by this loss, we will always be inspired by the life he led and the indelible impact he had on those around him. We know he will live on forever in all the unique relationships he built with all of you. We are grateful for your overwhelming support and prayers over the last few weeks. Most importantly, thank you for sharing your stories and memories of Anuj with him and us. They were and continue to be a tremendous source of strength.